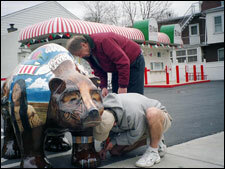 From its conception, “Chip T” (Community Helps in Painting Tattoos) has proved to be a unique bear. 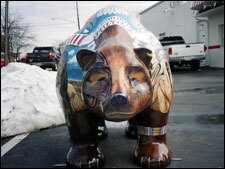 In a happy alliance between the Bear Fever Committee and Harry Nichlas of Harry’s Tattoos in Boyertown, this walking bear is the epitome of the mission of the Bear Fever project: community cohesiveness. Reflecting on his successes in life, Harry advises, “Do what makes you happy!” His goal of proving to the community that he is an asset has been reached through his hard work, determination, and dedication. 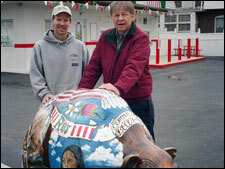 Along with fellow artists, Harry was excited and ready to make his bear as special as the community to which it belongs. 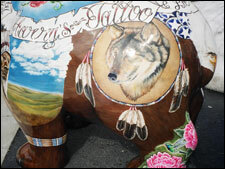 Community members contributed to the decoration of the bear by painting in the lines of the tattoo pictures drawn on the bear. Four-year-olds painted along with their parents and grandparents, high school students, and professional artists. 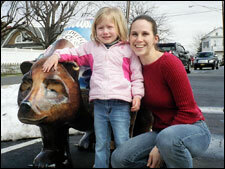 The community’s work was lost when one of Harry’s artists left the shop, but Harry found the perfect artist Erin Wade to paint the Community Bear. 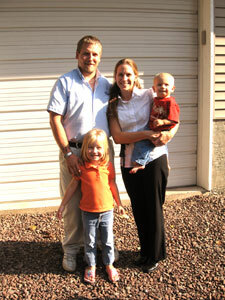 Erin worked on Chip T for two year—during which time she became a mother. So, between her young daughter’s naps, she painstakingly created a bear which blends some of America’s most significant images in a unique realistic style. 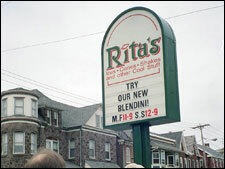 The spirit of community surfaced again when Rita’s water ice establishment welcomed “Chip T” to “live” on its parking lot. 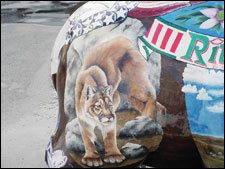 To honor their shared interest in Chip T, Harry features Rita’s on one side of the bear. 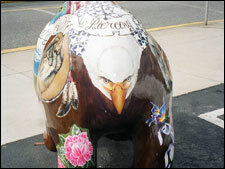 Bear Fever is proud of this bear’s work in bringing folks together to celebrate art.